There are two things I need to say about this drink. 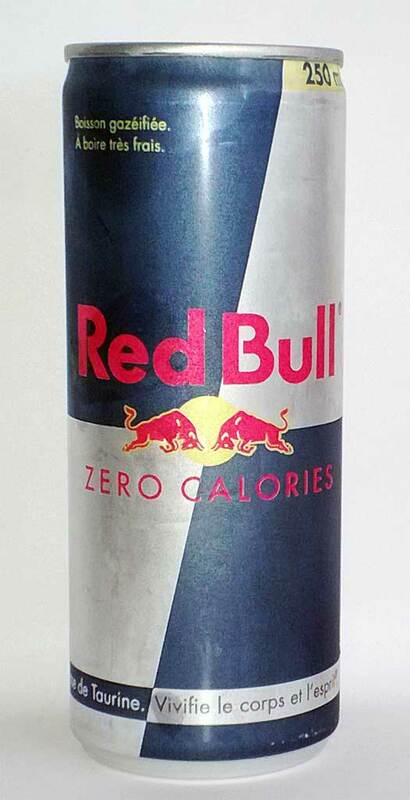 Firstly, it doesn’t really taste like Red Bull, and Secondly it is not zero calories! It’s close, at 1.8 calories/100ml, but that’s not ZERO in my opinion. It tastes sharp and tart, but not like the usual smooth Red Bull flavour in the regular or sugar free varieties. I’d go so far to say that I’d class this as a bad clone if I didn’t know better! They’ve chosen a dark grey colour for the can which looks pretty cool, but to be honest for the difference in calorific value of about 6 calories, you’re much better off going for good old sugar free – it tastes like actual Red Bull for starters!